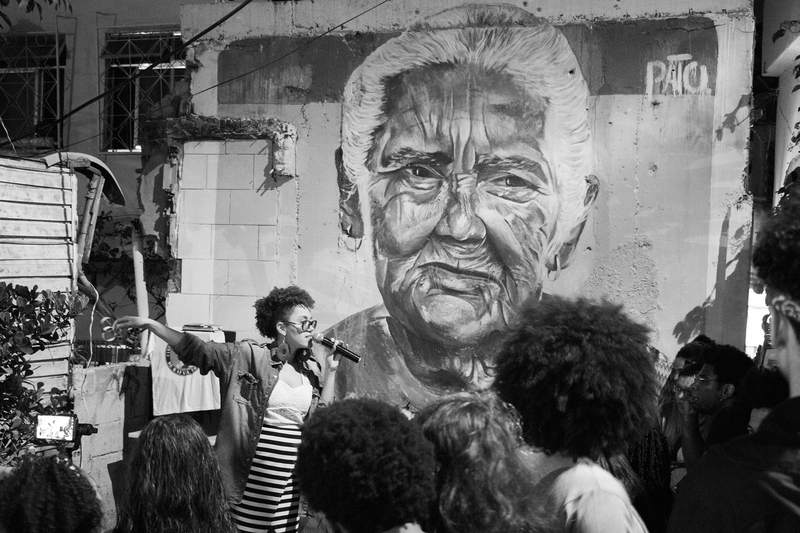 Rhymes echoed down Complexo do Alemão’s Central Avenue on Sunday night, May 27 as dancers, poets, and rappers convened to celebrate the one year anniversary of Slam Laje, Alemão’s first poetry slam. 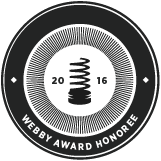 As poets from Rio and São Paulo spun rhymes on everything from racism and police brutality to feminism and education, judges picked from the crowd scored performances on a 1-10 scale, choosing three top poets as the evening’s winners. This month’s champions—Dudu Neves, Sabrina Azevedo, and Chal Enigma of the group Nós da Rua—will move on to the Slam Laje finals later this year. 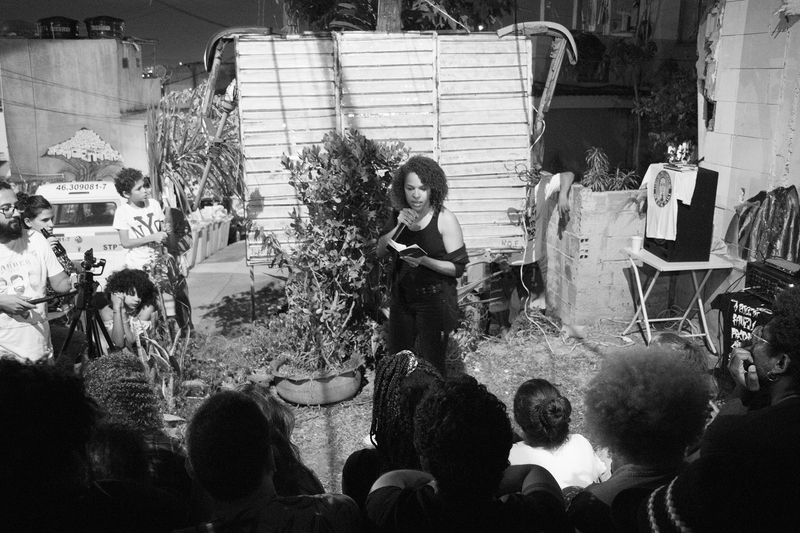 Between performances, MC Dall Farra of the favela poetry collective Poetas Favelados stoked the crowd in call and response: “The favela is sending its message! Slam! Laje! Slam! Laje! Open your heart!” The battle, organized by Alemão’s own MC Martina and Al-Neg, also featured a passinho competition, a mini-show by MC Thai Flow, and a poetic intervention by São Paulo’s PARDOnizadas group. 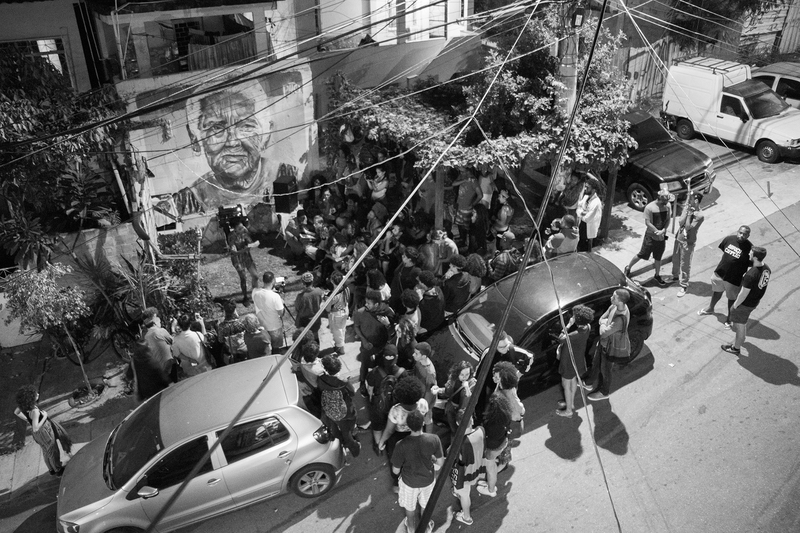 Slam Laje has typically held its events atop the rooftop (the laje) of Casa Brota, the favela complex’s first coworking space. 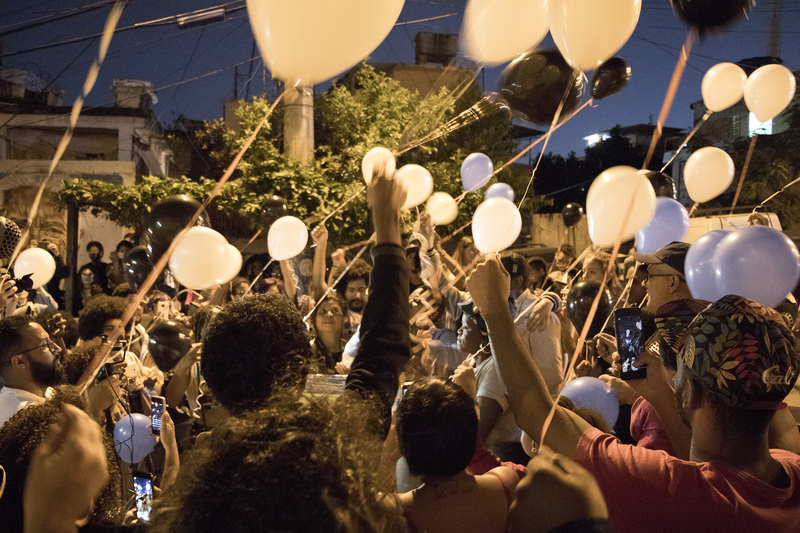 For its first anniversary, however, the group broke with this tradition, descending the hill and battling at the doorstep of the Instituto Raizes em Movimento, a community-based NGO dedicated to human rights, community-led development and cultural memory in Complexo do Alemão. 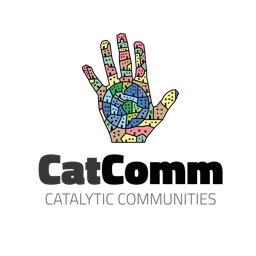 Community leaders from across Alemão attended the Slam, enjoying the poetry and catching up with each other. Present at the event were Voz das Comunidades founder Rene Silva, Coletivo Papo Reto members Thainã de Medeiros and Raull Santiago, Instituto Raízes em Movimento founder Alan Brum Pinheiro, Women in Action in Alemão and housing movement leader Camila Santos, and Abraço Campeão founder Alan Duarte, among others. This article was written by Antoine Horenbeek, Edmund Ruge, and published on June 6, 2018.